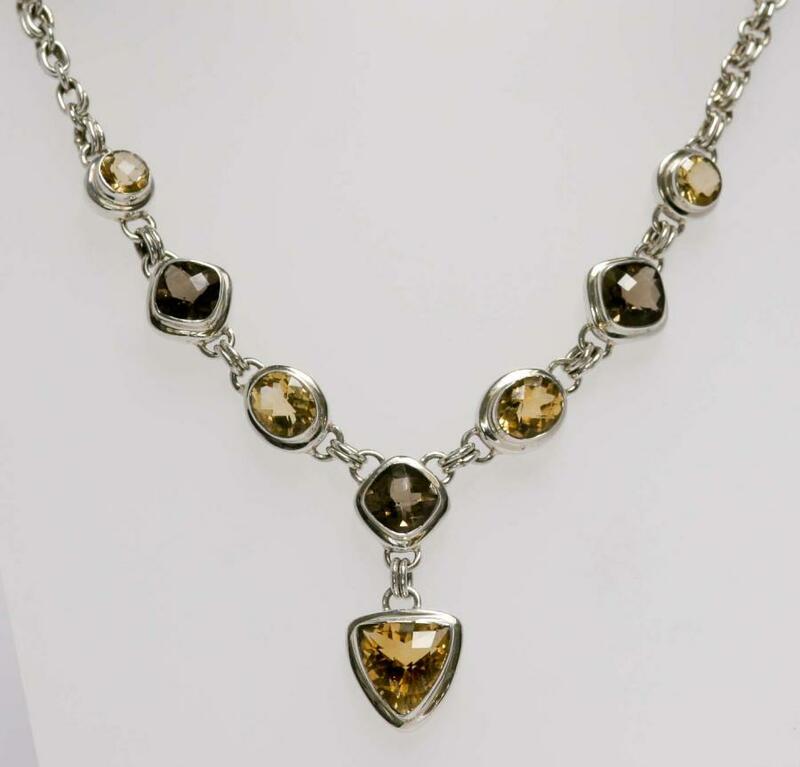 Five cushion cut citrines and three smokey quartz are set in this sterling silver necklace on chain. The overall length is 48cms and the chain accounts for 31cms. The two centre stones measure 4.2cms top to bottom.